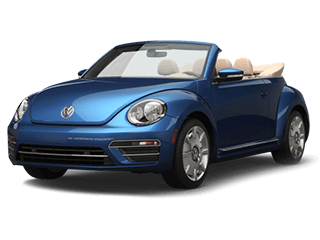 Volkswagen, the German word for “people’s car,” is the aptly named marque that is best known for its economy car called the Beetle. The original Beetle was the world’s best-selling car for much of the 20th century. Our comprehensive vehicle history report covers thefts, accidents, sales, titles, specifications, and more. This information is compiled by VinCheck.info from official government sources and made public as a free, informational resource. In 2015, Volkswagen admitted violating the Clean Air Act Regulations by using a software to circumvent emissions testing. The violation covers 2.0-liter diesel engines in around 550,000 vehicles (model years 2009 to 2015) sold in the US. Verify the status of any Volkswagen using the emission modification status lookup tool. If your Volkswagen is part of the recall, please contact your authorized Volkswagen dealer or Volkswagen Customer CARE for additional information. Volkswagen is the flagship marque of German multinational automaker Volkswagen Group which was founded by the German Labour Front in 1937. Ferdinand Porsche, renowned designer, built a suitable prototype for a small, affordable car 10 months after he was commissioned by German Chancellor Adolf Hitler in 1933. The prototype was for beetle-shaped sedan which became known as the Volkswagen Beetle. The Volkswagen lineup expansion started in the 1950s and, today, its current models include superminis, city cars, family cars, subcompacts, crossovers, SUVs, MPVs, and GTIs. Volkswagen’s parent company also markets cars under the Škoda, SEAT, Bentley, Bugatti, Lamborghini, Audi, and Porsche brands. Volkswagen Beetle became the bestselling car from 1938 to 2003, with a total of 21,549,464 units built and marketed during this period. Oceanic currents and prevailing winds were the inspiration of Volkswagen model names: Jetta, Golf, Scirocco, Santana, Passat, Vento, and Corrado. Close to 370,000 people work for Volkswagen Group, producing 26,600 units of motor vehicles and related major parts per day for sale in more than 150 countries. The Volkswagen Type 1 Beetle model marked its 75th anniversary in 2013. The Beetle ranked fourth among the final five nominees for Car of the Century award in 1999. The Ford Model T was hailed as most influential car of the 20th century. Why should I run a Volkswagen VIN Check? Check for title brands. Flood, hail-damage, and salvage titles are examples of critical title brands that may cause problems in the future for used car. Check for thefts. Do a VIN search to check whether the vehicle has an active theft or previously recovered theft record.